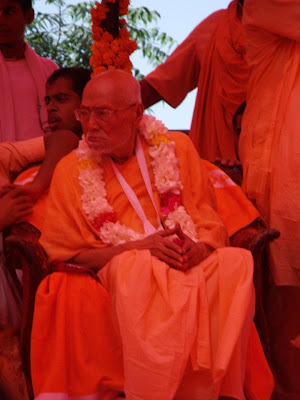 The glorification of a pure devotee is always a moment to rejoice, even more if we are talking about the 50th anniversary of the sannyas ceremony of Srila B.B. 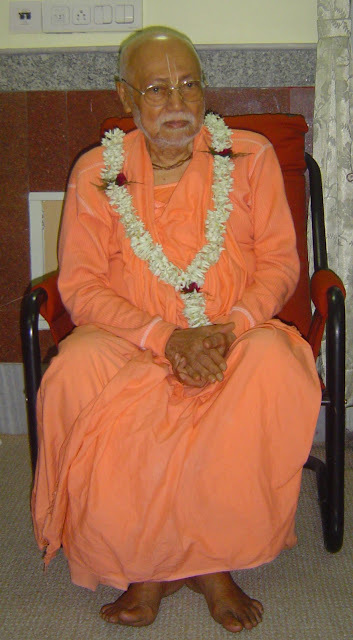 Tirtha Maharaj. 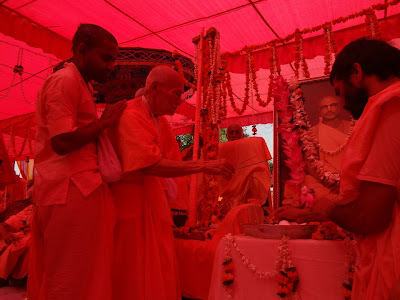 On the 11th of october, at the Govardhan Temple of the Sri Chaitanya Gaudiya Math, we participated of the celebration of this great and beloved vaisnava, who is furthermore the president of the World Vaisnava Association. Hundreds of people came to offer their reverences and to honor him. 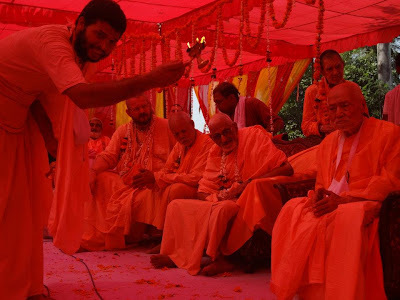 The festival also was attended by several representatives, acharyas and sannyas, of different missions. Srila B.B. Tirtha Maharaj gave darshan and beautiful hari-katha to all the presents, enhancing his Guru Srila B.D. 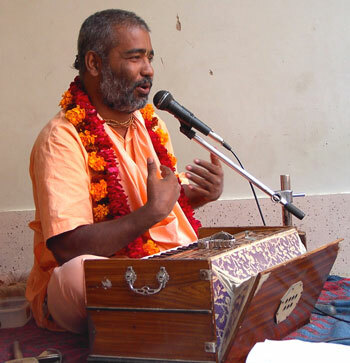 Madhav Maharaj and the vaisnavas in general. The ceremony concluded with a delicious prasadam party.